Virtual Reality at Comic Con, AI in a USB stick, AR halos, a brand new smart voice assistant and goodies from Atari, both new and old. Find out what all this digital goodness is about in The Weekly Wins! San Diego Comic Con is on and a bunch of fandoms are getting virtual reality experiences for their favourite films, a USB stick is making AI computing easier and more accessible, Blippar is using facial recognition to put halos around people’s heads in AR, Bixby is the new artificially intelligent assistant for Samsung, and Atari has released more information on the upcoming Ataribox as well as a new gadget they’re calling Speakerhats. Welcome to the world of tomorrow! San Diego Comic Con is in full swing and with it comes a bunch of new virtual reality experiences. In anticipation of the upcoming “Blade Runner 2049” film, Turtle Rock Studios has released the first episode of Replicant Pursuit, a VR experience for Samsung’s Gear VR featuring flying “spinners” and other elements from the film. 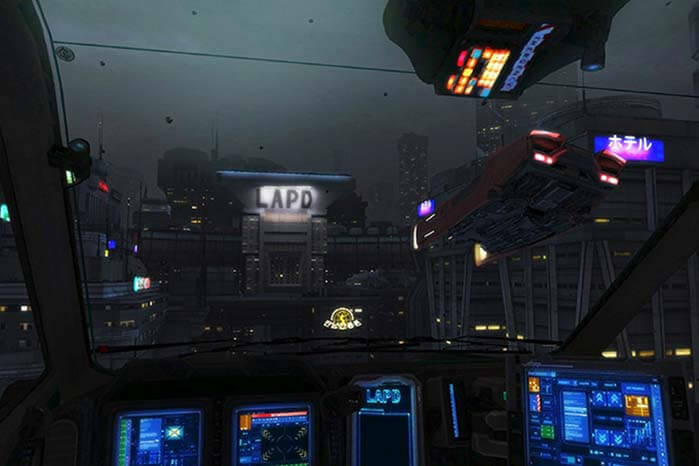 Players fly through the futuristic city in – you guessed it – pursuit of a “Replicant”. This release is the first of three VR episodes we’ve been told to expect as teasers for the upcoming Blade Runner sequel. Marvel is another franchise debuting a virtual reality experience at Comic Con. Marvel Powers United is the new VR game for Oculus Rift that features some of Marvel’s most popular characters, with more to be added, for an immersive experience. Players choose who they want to play as (Deadpool is an obvious favourite) and work with other players to defeat bad guys and complete missions. As digital technologies continue to develop and enter the mainstream, we can expect more franchises to use things like VR, AR and AI as marketing tools for upcoming films. Intel’s company Movidius introduced a Neural Compute Stick, a deep learning accelerator that comes in a standard USB 3.0 stick. By plugging it into a computer, it gives researchers and developers more local power when training and designing new neural nets for an AI. Plus, no network connection is required, giving users the option for offline artificial intelligence prototyping. That’s a lot of high-tech computer talk, but the main take away here is that this nifty little thumb drive makes artificial intelligence computing and programming easier, brings AI to a broad range of devices, and makes AI more accessible to everyone. "Halos: augmented reality face profiles"
Blippar is a “visual discovery app, using augmented reality, machine learning and artificial intelligence to bring the physical world to life through smartphones and wearables.” The app allows users to experience augmented reality all around them by detecting nearby objects/products and offer more information on them. 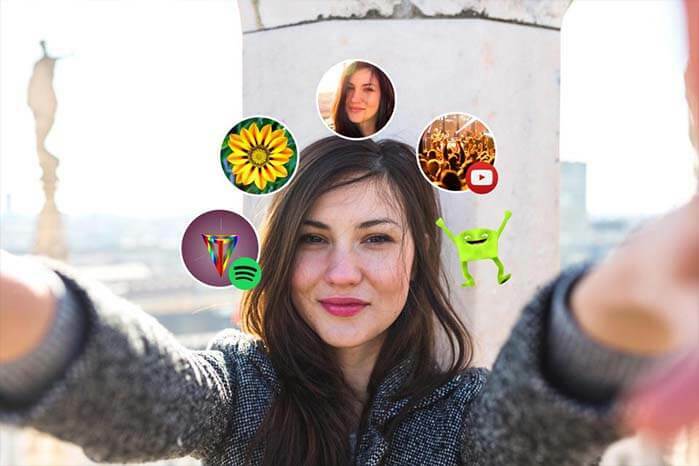 Something new for Blippar is Halos: augmented reality face profiles. Users can set some information about themselves including interests, favourite songs, recent Tweets and more which the app stores and remembers. Then, using facial recognition and AI, when other users “Blipp” you – or, scan you with their Blippar AR app – a halo of icons representing who you are will appear around your face. So yeah, we can probably expect people to break out into song when they can see your halo (No? Just me?). Blippar is quick to recognize objects and faces, but developers are still working on increasing its accuracy to become the ultimate visual search engine. Bixby, the smart voice control assistant, is finally here for Samsung Galaxy S8 and S8 Plus. This artificially intelligent assistant is similar to Apple’s Siri, Amazon’s Alexa and the Google Assistant, but it is also very different. 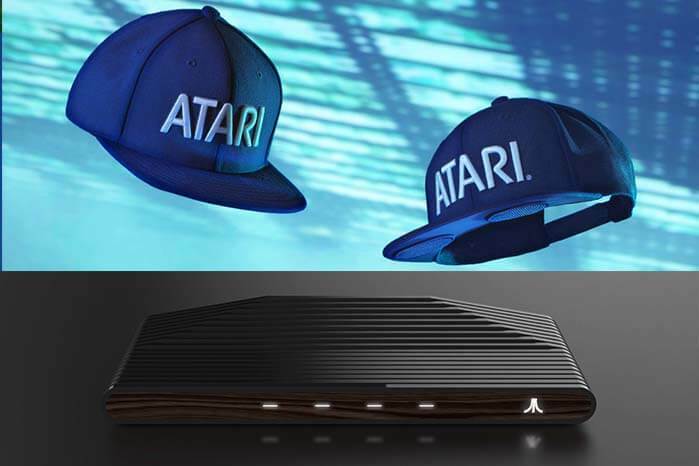 Atari began teasing the upcoming Ataribox earlier this year, and now they’ve released some photos of what the modern retro console will look like. Inspired by the traditional Atari 2600, the new consoles are incased in wood and feature ribbed lines and a sleek design. Atari plans to deliver classic games as well as current content, and the Atari fan community can’t wait. Although the Ataribox is a blast to the past, Atari has also created something entirely new: Speakerhats. The name is pretty self-explanatory, but in case you were wondering, yes, it features built-in speakers. The Atari Speakerhat also has a microphone and is combatable with Bluetooth for phone calls and music playing. It’s currently available as a beta test to customers who register to test it out.